Help us out and receive a free book! 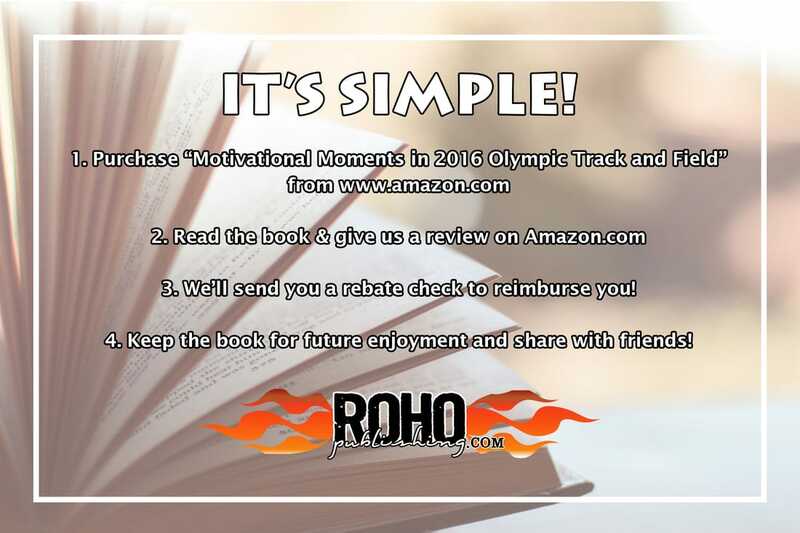 We're looking for people like you to purchase "Motivational Moments in 2016 Olympic Track and Field." Read the book and if you like it, give us a review on Amazon! We'll send you a rebate check to reimburse you for the cost! It's a WIN WIN! Send us an email at rohopublishing@gmail.com to complete the process.